This beautiful renovated home in Pinecrest has many appealing features. Located at 6606 Ridgewood Dr. it is comprised of 3165 sq. ft. with 3 bedrooms, 2 bathrooms, and 1 partial bath. Highlights include a beautiful formal entry, fine architectural detailing, and a first floor master suite with a sitting area. The eat-in kitchen has granite countertops, an island, built-in desk, and stainless steel appliances including a refrigerator with icemaker, dishwasher, microwave, and self-cleaning oven. The spacious master suite has the sitting area and bathroom with dual sinks, shower, and separate jetted tub. This exquisite home also has a living room, formal dining room, family room, and laundry room. The guest bedrooms on the second floor of the home include full baths with dual sinks and bonus walk-in storage areas. Other features and equipment within this well cared for home consist of ceiling fans, closet cabinets, French doors, central electric zoned heating and cooling including two newly installed A/C systems, foyer, smoke detectors, washer and dryer, pull-down stairs, walk-in closets, volume ceilings, window coverings, crown molding, plantation shutters, and carpet, ceramic tile, and wood flooring. Outside the home is a newer tile roof, lush landscaping, a two-car garage, bronze aluminum fencing, and a below ground heated pool surrounded by a reinforced screen cage equipped with manual and electric hurricane shutters. The pool equipment stays with the new owner(s). 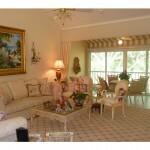 Pinecrest is located in the south-central portion of Pelican Bay. Pinecrest has no restriction on domestic pets. 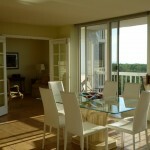 To learn more about Pinecrest at Pelican Bay, please see this site. Pinecrest residents will appreciate the abundant amenities available in the Pelican Bay community. The wide range of activities includes tennis, golf, fishing, swimming, canoeing, kayaking, nature viewing, biking, walking, and jogging. Highlights in the community include the two tennis complexes, resident only solar powered tram service, private beaches, golf course with limited equity memberships available and a large community center that includes an art studio, fitness center, tennis pro shop, bridge room, wellness studio, and business center. 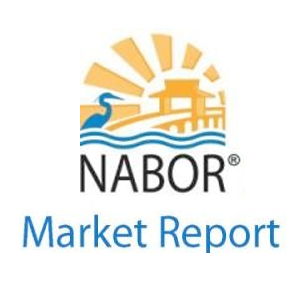 In close proximity to Pelican Bay are the Waterside shops and Naples Philharmonic Center for the Arts. Light, bright, and tastefully decorated, this large comfortable home is perfect for family living and entertaining. Come see this well-maintained Naples property in Pinecrest at Pelican Bay.